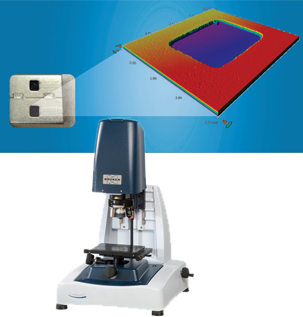 The Bruker Contour GT-K 3D optical microscope delivers surface metrology with a compact footprint. Benefit from exceptional roughness and 2D/3D measurement capabilities, high-resolution imaging and a user friendly interface. The gage-capable system includes extensive library of pre-programmed filters and analyses for surface metrology applications in LEDs, solar cells, thick films, semiconductors, medical devices and optahalmics, MEMS and tribology. With unmatched Z-axis resolution and accuracy, the ContourGT-K features Bruker’s proprietary white light interferometry, without the disadvantages of conventional confocal and standard digital microscopes. 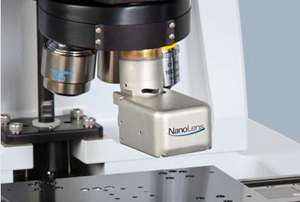 Using the optional NanoLens™ AFM module with the ContourGT 3D optical microscope. Using white light interferometry (WLI) and confocal microscopy, also known as laser scanning confocal microscopy (LSCM) and the strengths and benefits of each technique. Using 3D optical microscopes in research and development and quality control of orthopedic implants. 3D surface inspection of blades and sharps provides useful information about their lifetime and quality. Non-contact, 3D measurement of stent shape, defects and coatings, and high-volume production measurement. How 3D parameters provide greater insights into surface finish and performance.